Healed of cancer and filled with the Holy Ghost. Samantha’s eye sight healed during service. Winslow prayed for this couple who were having issues with conception. They now have a beautiful addition! This woman came to church with a cane. During service God healed her. She felt her back popping into place from top to bottom. Doctors had previously told her she could not have back surgery to fix her back. She left that church service with no cane! Shaylee had severe pain in her stomach that doctors could not figure out. It would leave her laying on the church pew in tears during service. It affected her eating. From the age of 6 to 9, she gained only THREE pounds! Feburary 2017, Shaylee was prayed for at the altar while in service with/by Gordon Winslow Jr. (Gordon Winslow Sr. son). July 2017 Gordon Winlsow Jr. returned to that same church to preach a special service and was told the miracle that happened to Shaylee since being prayed for: from February to March, Shaylee has gained 15 pounds and has not had one moment of abdominal pain! Jesus heals! Gordon Winlsow spoke a word from God that this couple would conceive a child despite what the doctors had spoken to them of not being able to conceive. God healed this woman and she did in fact conceive a child. This is a picture of the child looking up at Gordon Winlsow! How precious. God healed this boys lungs. While ministering in church one night through the direction of God, Gordon Winslow turned to this man and said, "You are not going to die. I curse the cancer in Jesus name." He is cancer free. Healed by the power of God! In one of the services' God spoke to Gordon Winslow that God was going to heal this ladies back and she would grow half an inch. This picture is of a door where she had drawn a line of her height before and after. 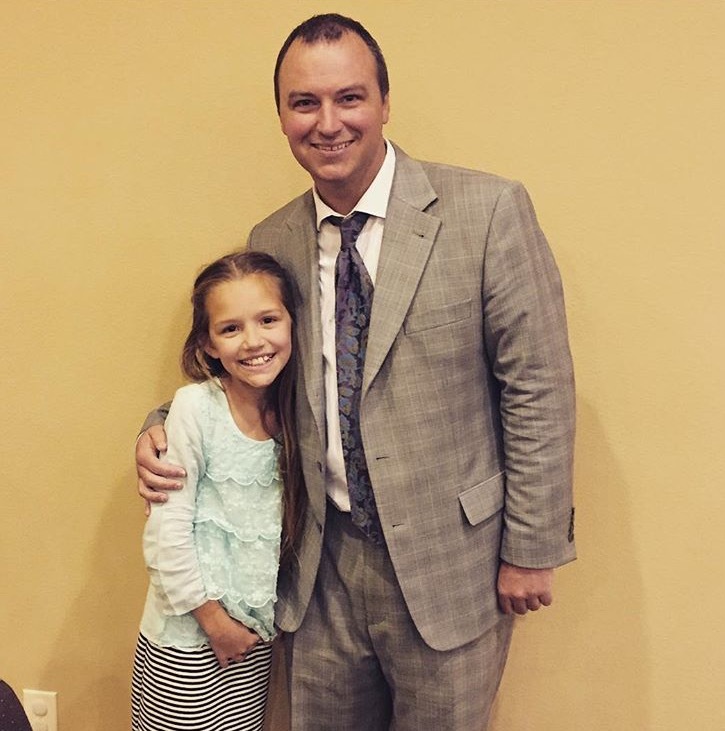 In a past service, Gordon Winslow prayed for this little girl when she was 2. She was having a lot of seizures. She is now 7 and has never had another seizure since that service when she was 2. 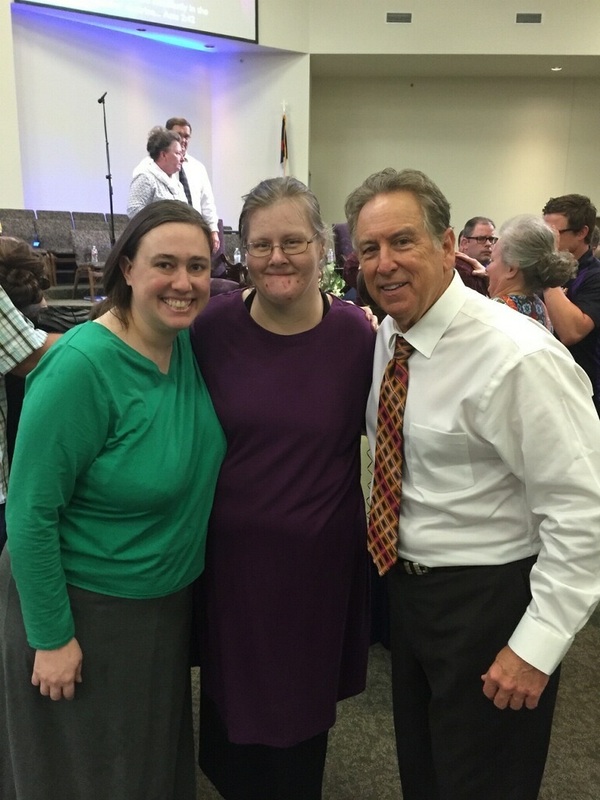 This is her and Connie Winslow at a recent service with Gordon Winslow. This is an x-ray of a man with cancer Left picture: before prayer. Right picture: x-ray after prayer. No Cancer! his lady had a cancerous tumor. She was also told she would not be able to have children. She was prayed for at one of the services. Later on she went to the doctor and God had burned out the tumor. No Cancer! The next time Gordon Winslow saw her in service, she was holding this baby! 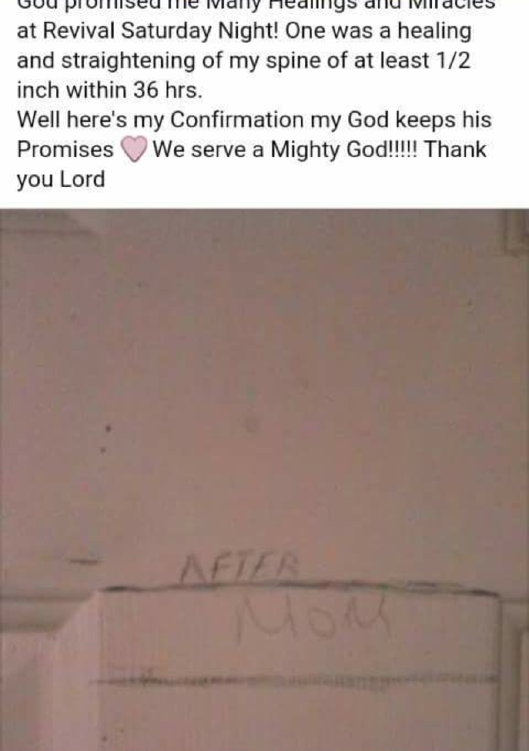 God had given her a child. Tanisha from Cornith, Texas contacted Gordon Winlsow about how God healed her during the service. In Tanisha's words..."Hi this is Sister Tanisha from Victory Life Church in Corinth. I was healed in Jesus name when you came and prayed for one of the sisters in church. I had an indirect healing of my Asthma. All week long I had been battling my asthma, carrying my asthma machine to work and all. I forgot to take my meds before I came to church and I have not needed them since. Thank you for your powerful words." This lady was healed of diabetes at the Tyler, TX service. Her blood sugar was daily over 250, but after prayer, blood sugar went under a 100. It has not went over 100 since being healed. Healed of back pain and nerve damage. She has feeling back in her hands and can now play her violin without pain.